Worthing Raiders head coach Jody Levett is looking for consistency and performance as they head into the festive period. 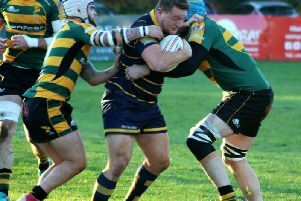 Raiders were without a game on Saturday but noew face six games leading up to Christmas. Levett said: “With six games to Christmas and back to back home games taking us into the Christmas break, we will be looking for a consistency and performance to ensure we are the best placed we can be league wise, moving into the new year. Levett highlighted how tough and tight the National Two South League is this year and hard to gauge where they are. He said: The league is so competitive with everyone capable of beating anyone on their day that to be mid table after 10 games is acceptable. “However, we have been disappointed with a number of performances so far, where we have not played at the high standards we set ourselves and have therefore missed out on league points. One performance that did delight Levett was the Redruth game. 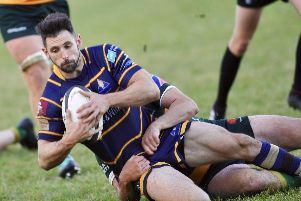 He said: “ Redruth has been the best overalll performance so far, scoring eight tries against a traditionally strong team was fantastic and to score 60 points was a phenomenal team effort. “It is always about a team effort as you are only as strong as your weakest link. it is difficult to pick out individuals. “However, Jon Dawe or Dawsey playing in the back row has been outstanding this season, in both attack and defence, being second top try scorer. And have Levett’s targets annd ambitions changed for this season given what’s happened in the first third? He said: “No, they haven’t, it has always been about player development and continuing to build on the squad from last season.